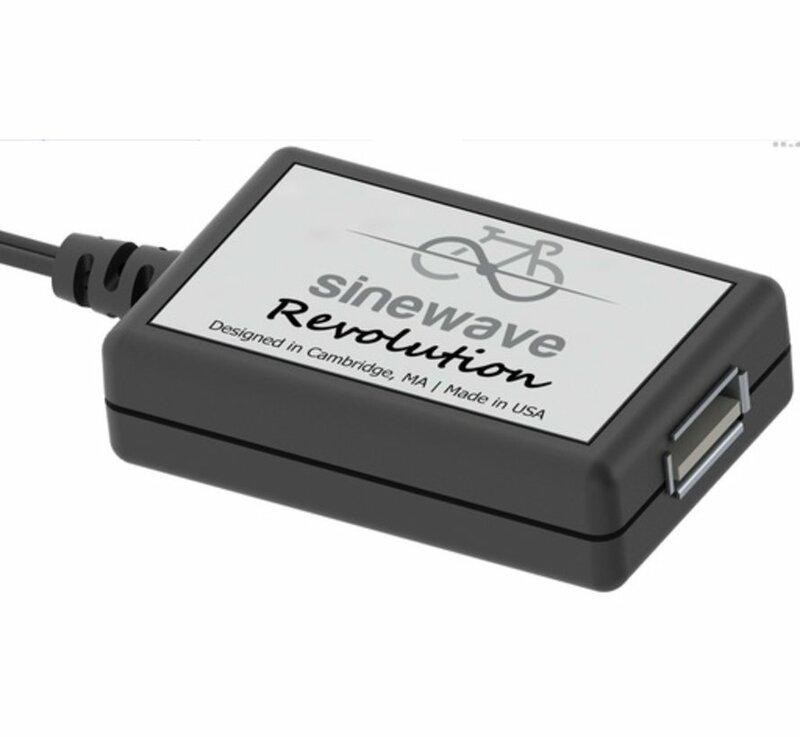 The Sinewave Cycles Revolution is a bicycle dynamo powered USB charger. 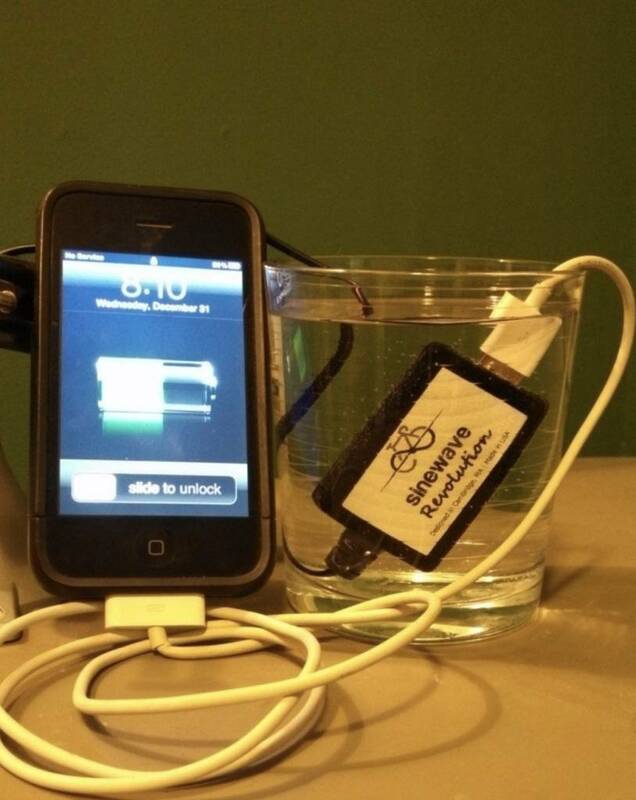 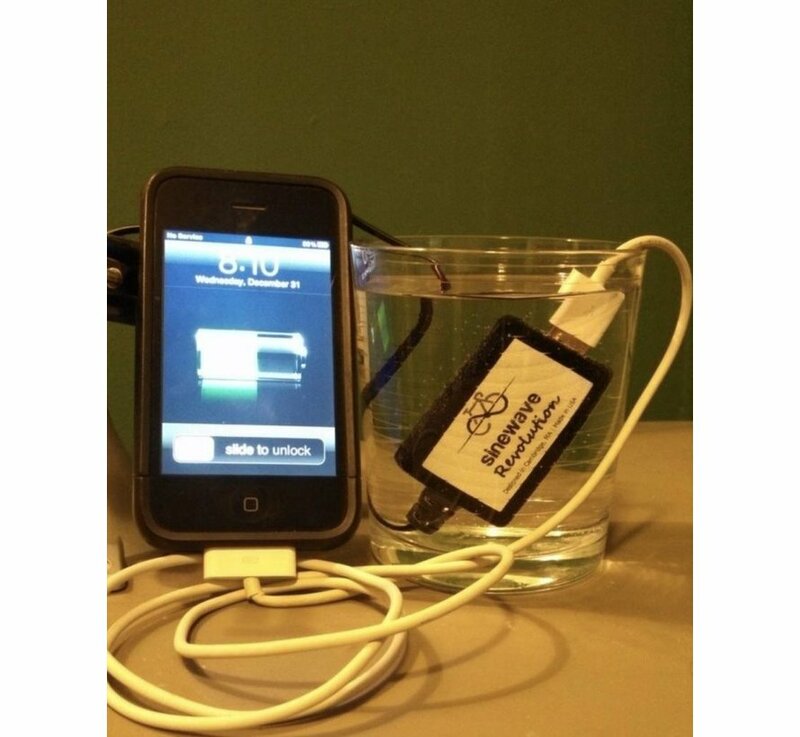 It converts electricity generated by hub dynamos to USB output. 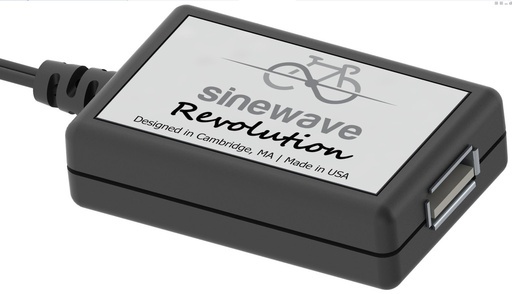 The Revolution allows users to charge USB-powered devices while riding.